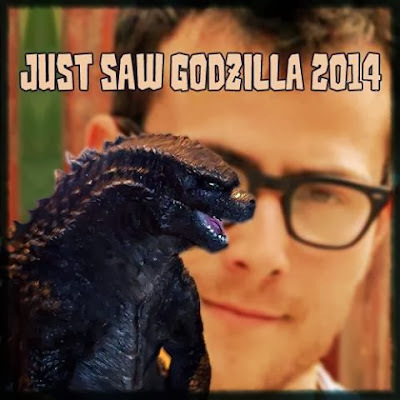 Someone with the username Jorzilla on the monsterzero forums shared a tweet from Max Borenstein. Max Borenstein has been tapped to write the planned remake of Godzilla. Borenstein, who just turned in his script for Art of the Steal for Warner Bros and producers Kevin McCormick and Zac Efron, is well acquainted with Legendary. He worked on the company’s in-development Jimi Hendrix biopic, Jimi, and rewrote the outfit’s supernatural fantasy The Seventh Son. The latter, based on the Joseph Delaney YA book, is due to go into production with Jeff Bridges, Julianne Moore and Ben Barnes attached to star. If he has seen the movie it is most likely a rough cut--not the final cut, or the special DVD/blu ray cut, or the director's cut, or the 15th anniversary additional never-before-seen scenes cut. You get the idea., and for what it's worth, assuming this movie is as good as I hope, I am standing in line at midnight somewhere to get all those different cuts when they come out. GMAN2887 on Godzilla-Movies.com breaks down the the significance of a final rough cut. What does this mean? Well not too much exciting. But it does mean that a workprint version of the movie is probably completed and that Max Borenstein probably saw an early cut with unfinished special effects, sound and music.